The blacksmith, as well as the curved charm-the horseshoe-has been recognized by poets and other great men and rulers. When Solomon built the temple, of which Jehovah was the architect, the king started out one day on a tour of inspection, and was amazed at the skill of the masons. Examining their tools, he asked, “Who made these tools?” T The answer was, “The smith.” Going further the king saw the wonderful work done by the carpenters and wood carvers and their clever tools and asked again, “Who made these tools?” The same answer, “The smith.” Going further, the king noticed the weavers and workers of fine draperies, and asked again, ‘who made these tools?” The same answer, “The smith.” Turning to the superintendent the king asked, “The smith,-who is he and where is he?” The superintendent took the king by the arm and led him out behind the temple and into a dirty little shanty, and here at the anvil stood the smith pounding hot iron from which the sparks flew in the face of the king. The fact is there is not a trade where the mechanic must use his brain together with muscles as in the blacksmith’s trade. The smith must not only be a mechanic, but he must also be an artist. The work must be so shaped that it is not only right in construction, but beautiful in design. The farrier’s trade is a trade of horseshoeing alone, but in most cases we find the smith occupying both these branches of the trade. When and where horses were first shod we do not know, but we know that horseshoes were first made of iron 481 A.D. In this work the author will waive any attempt to describe primitive and ancient shoes and methods, and will treat only modern shoes and methods. The horse was one of the first animals brought under subjection for the use of man, and he is recognized among all nations as man’s best friend among the dumb animals. 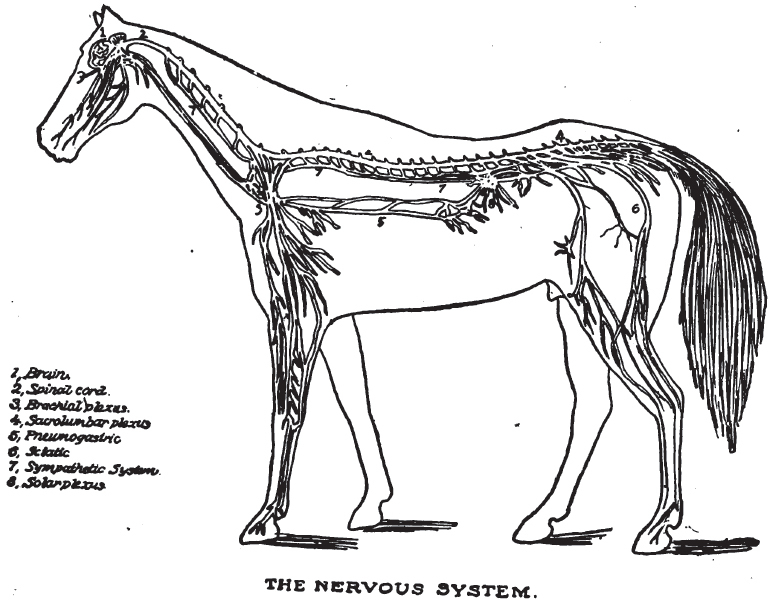 The discovery of the power of steam and its application to locomotion, creating the great railroad systems of the present, drew from the sages of that time prophecies that the horse would in a short time be a superfluous animal. But the horse has held his own. Later, the invention of the bicycle made the wise men of that time predict the same thing; but the horse has held his own. At present press predicts the same fate on account of the advent of the automobile; but the author ventures to assert that the time will never come when this noble animal will not be in demand. The scope of this usefulness may be lessened; but the time will never come when the horse can be dispensed with altogether. 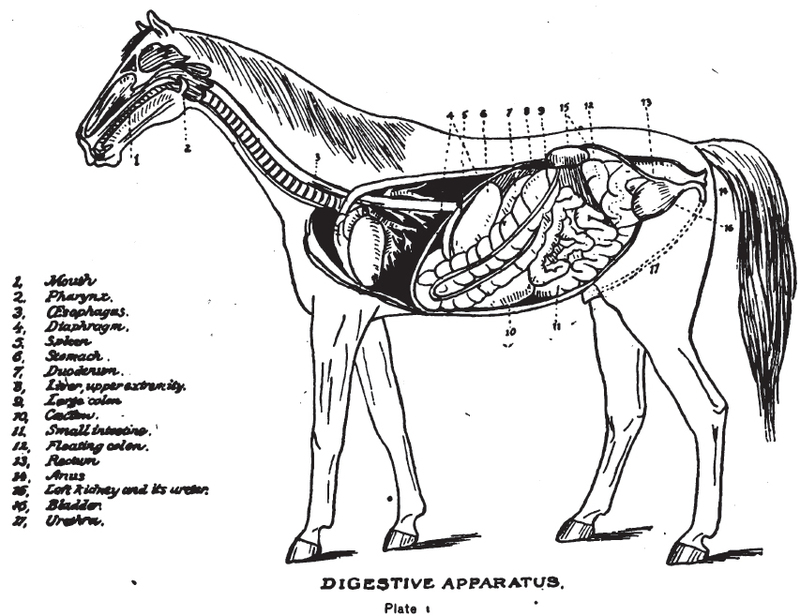 The horse is, and has been, of immeasurable value to man, and it is our duty as horseshoers to learn as much as possible about the anatomy of the horse, especially about the feet, in order to do our duty as horseshoers, toward the horse and his owner. For it is a fact that the horse suffers untold agony while speeding along on hard roads on account of the ignorance of the horseshoer as well as that of his master. Blacksmiths and horseshoers frequently make a mistake when building a shop, to erect it on a high foundation. A shop should be level with the ground-that is, the foundation should be below the level of the ground. It is very inconvenient to have the floor of a shop high above the level of the ground. High spirited horses will not enter a shop where they have to walk up a high bridge, and it is also difficult to bring in heavy machinery, when such have to be repaired. In Fig I will be found a plan of a shop. This is for a horseshoeing shop. The forges are all on one side. The other side is for a shoeing floor; a dotted line being drawn the whole length of the shop to indicate a gravel floor. 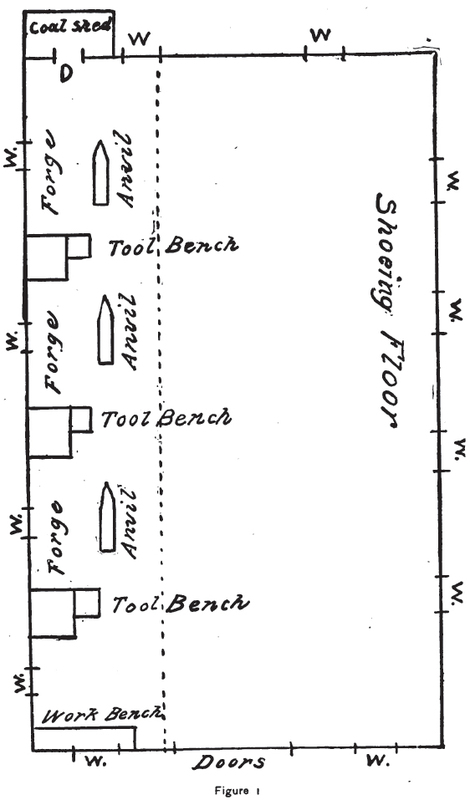 The shoeing floor should be of plank, while the other side of the line, that is between the forges, should be a gravel floor, or if you prefer, a cement floor. A gravel floor is the best if you know how to make one. To make a gravel floor, fill with a layer of coarse sand and clay about six inches deep. Sprinkle this floor with water every night in warm weather, and in the course of a short time the coal dust in the shop will make it hard as cement and better, because it will not crack, and if it does it is easier to fix than a cement floor.